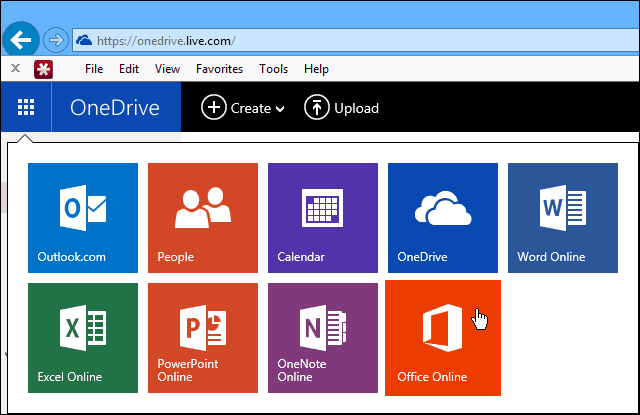 Microsoft has a new app launcher for online services OneDrive and Office Online. Similar to Google’s, this makes it easier to switch between online apps. 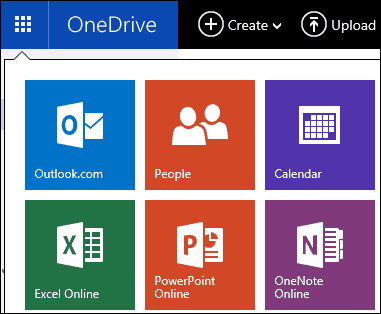 Microsoft announced today a new app launcher for its online services OneDrive, Outlook.com, and Office Online. The company hopes this will make it easier for users to switch between online services. The new app launcher is at the top left corner of the header and gives you access to Outlook.com, People, Calendar, OneDrive, and Online Office apps. The app launcher is available across all of the online services and makes switching between services much easier. This is a small visual change, but sometimes it’s the little things that make a big difference. It’s actually similar to the Google Apps Launcher as seen below. However, you can’t move apps around in Microsoft’s version like you can in Google’s but hopefully that ability will be added later. This new feature was rolled out today, and all you need to do is log into your Microsoft account and you should see it. Microsoft sure loves its Orange! I just logged in an I got it. Not bad. then again, Google has had this for a long time. Nice to see Microsoft is trying to compete again. I actually like it. Makes navigating their online services much easier…although I use OneDrive and Outlook.com the most…still. 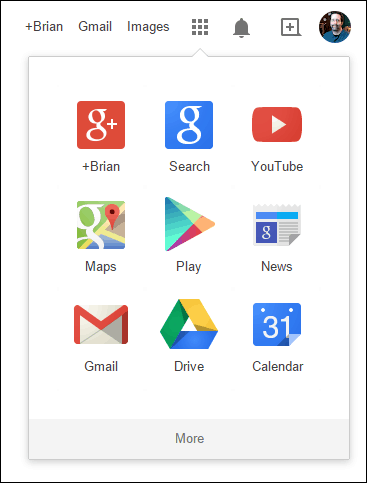 It would be nice to arrange the app icons like you can on Google’s … someday maybe. I like it. Looks more modern than Google. Then again, google has never been known for design. Just a bunch of engineers.